While intellectual property (IP) and antitrust share the common goal of promoting consumers welfare by enhancing innovation and economic development, there is no doubt that the interaction of IP and antitrust causes increasing tensions. The intersection of antitrust and IP have already become a hot topic in developed economies and jurisdictions. Normally, antitrust regulations tend to prevail in certain situations over IP. Pharmaceuticals and IT are usually the main industries affected by this trend and, subsequently, they are thoroughly scrutinized by antitrust authorities. Ukraine is obviously on the path to harmonizing its IP and competition laws with EU regulations, whereby dominant entities in certain cases may be obliged to provide their competitors with access to relevant technology. The European practice had evolved to the extent that an intellectual property right (IPR) holder’s refusal to grant a license may, under certain circumstances, be considered an abuse of dominance. Competition authorities all over the world often come across the intersection of IPRs and antitrust in relations between innovative and generic drug manufacturers, particularly in two aspects: i) settlements between innovative and generic drug manufacturers aimed at delaying market entry of the latter in exchange for remuneration; ii) misuse of IPRs and other regulatory procedures by innovative drug manufacturers designed to keep generics out of the market. Foreign competition agencies and courts regularly find that strategies of some innovative drug manufacturers to artificially exploit the pharma regulatory framework aimed at blocking the generic drug market entry without any substantial drug improvement can violate competition regulations. In other words, filing an application for a divisional patent (absolutely legitimate under IP regulations) in unison with initiating a judicial proceeding against generic drug suppliers in order to prevent the sale of a generic drug, may constitute an abuse of dominance. We will now try to provide some general insight into how the Antimonopoly Committee of Ukraine (AMCU) approaches issues that arise locally at the intersection of antitrust and IP. In general, IP issues are in the main applied by the AMCU and its territorial departments in the course of unfair competition cases and in situations where the anticompetitive effect linked to IPRs is investigated by the AMCU. 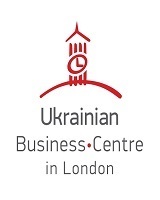 The Law of Ukraine On Protection against Unfair Competition No. 236/96-ВР of 7 June 1996 (Unfair Competition Law) prohibits unauthorized use of trademarks, as well as illegal collection, disclosure and use of trade secrets. Currently, the Law of Ukraine On Protection of Economic Competition No. 2210-III of 11 January 2001 (Law) contains very few provisions directly addressing IPRs. In particular, Article 9 of the Law provides for exemption of concerted actions related to transfer or use of IPRs. In other words, certain IPR-related restrictions (if they are within the limits of an IP holder’s rights) may not be considered as anticompetitive concerted actions. Foreign competition authorities routinely scrutinize many M&A transactions involving significant IPRs portfolios, especially in IT and pharma industries. Ukraine, obviously, does not have a lot of big innovative domestic companies and domestic transactions rarely involve significant IP portfolios. At the same time, the AMCU is already well aware of international M&A practices in the relevant industries and clearance of foreign-to-foreign transactions involving IPRs portfolios by AMCU is not a rare thing. Furthermore, there is no public information on any IPR-related remedies imposed by the AMCU. The Guidelines on Assessment of Horizontal Mergers adopted by the AMCU on 27 December 2016 provide for analysis of patents and other IP objects in the context of the barriers for entry to new competitors to markets and expansion of existing competitors. The Law provides general rules for exemption of the concerted actions related to transfer or use of IPRs. The Block Exemption on Technologies Transfer was adopted by the AMCU in 2018 only and took effect on 4 January 2019. 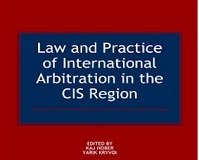 This set of rules was adopted to perform Ukraine’s obligations under the EU-Ukraine Association Agreement and provides detailed guidance on assessment of technology transfer agreements (including safe harbors, prohibited clauses, etc.). While there is no direct mention of IPRs in the clauses of the Law devoted to dominance and abuse of dominance, there’s no doubt that IPRs are taken into account by the AMCU in the course of defining the market, dominance on the market and abusive market practices. However, we are not aware of high-profile Ukrainian cases on abuse of dominance where IPRs were the cornerstone of investigations. The AMCU has voiced its concerns that a potential move to the principle of national exhaustion of IPRs may increase the number of unfair actions and even abuses of IPRs by rights holders. Since the principle of international exhaustion of IPRs is de facto effective in Ukraine, registration of IPRs with customs registry may not solve the issue of parallel import. At the same time, sometimes registrations of IPRs with the customs registry are abusive. In certain recent pharma concerted action cases, the AMCU mentioned contractual restrictions on parallel import as one of the factors that may negatively affect competition. Although such an approach by the AMCU to parallel import in the healthcare sector (where regulatory requirements on trade in drugs are undeniably very strict) looks quite ambiguous, it perfectly demonstrates the general attitude of the AMCU to parallel import. The complexity of advising clients in situations where IP and antitrust interact in Ukraine is also fueled by uncertainty over many Ukrainian patents. It is no secret that the Ukrainian patent system is far from being perfect. Some local manufacturers even believe that exploitation of certain gaps in the patent registration regulations significantly distorts competition between domestic and foreign companies. They usually refer to the issue by Ukrainian patent authorities of so-called evergreen patents and believe that the relevant practices of patent applicants could be considered unfair or abusive. Moreover, some domestic manufacturers lobby a few legislative initiatives on improving patent regulations in order to have effective mechanisms for preventing the abuse of IPRs. In its turn, the AMCU has issued few statements supporting reform of the patent system. Among other things, the AMCU noted that the patent system should be structured to guarantee that patents issued by the Ukrainian patent authority satisfy high standards of patentability. The AMCU’s practice perfectly illustrates the quite broad application of IPR-related clauses only in unfair competition cases. The most developed and long-lasting practice of IP-related cases is based on Article 4 of the Unfair Competition Law, which prohibits unauthorized use of trade names and trademarks. The relevant practice of the AMCU in such cases is rather developed and unified. However, in some cases the AMCU preferred to postpone its proceedings until decisions in connected court cases (e.g. on invalidation of trademark certificates) took effect. Such a cautious approach on the part of the AMCU sometimes discourages companies to address their unfair competition claims with the antimonopoly authorities. A recent pioneering trade secret case (decision No.30-p/tk dated 13 December 2018) brings tremendous hope for further practical application of certain previously dormant unfair competition regulations. The AMCU qualified the use of a trade secret of a competitor as an act of unfair competition under Article 19 of the Unfair Competition Law. The respondent was also obliged to terminate the infringement and pay a significant fine. The cornerstone of the case was illegal collection and use of a trade secret (including data on suppliers, clients and pricing of goods) by former employees in the activities of their own company. It is worth noting that significant interplay of unfair competition investigation and parallel criminal proceedings enabled the AMCU to gather very strong evidential basis to prove the infringement. In another recent case related to the IPR aspects of unfair competition (decision No.692-p of 6 December 2018) the AMCU fined a company that restricted import of competing products by virtue of maintaining records on its declarative patent for utility model with the Ukrainian customs registry of IPRs (when the relevant patent had already been invalidated by a court). The company was fined about UAH 1 million. The AMCU’s practice in IPR-related issues is limited predominantly to unfair competition at the present time. The AMCU’s IPR-related practice in other competition aspects (merger clearances, concerted actions, abuse of dominance, etc.) looks quite restricted and fragmented. At the same time, it’s also up to market players to initiate and actively develop more sophisticated practices (e.g. compulsory IPR licensing). Besides, ongoing reforms in the Ukrainian IP sphere should help to bring about an even playing field for domestic and foreign companies with various IPRs portfolios and cut the number of IPR-related unfair competition cases. The soon to be launched Higher IP Court is expected to unify in a professional and impartial way the practice of IP and unfair competition disputes. 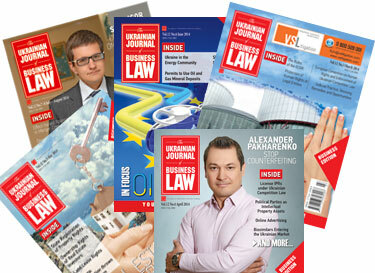 Ukraine is set to follow the EU approach to intersection of antitrust and IP. It means that businesses operating in Ukraine should be ready for a much broader assessment of IPR-related business practices by the AMCU. This relates both to assessment by businesses of their own combinations of IP and antitrust risks as well as using competition tools to oppose unfair use of IPRs by competitors.